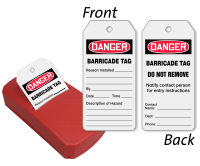 Get Barricade Tags in an easy to use dispenser. 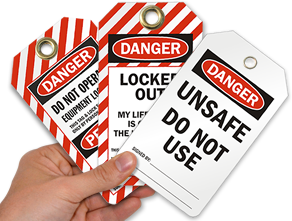 Take-A-Tag is the most convenient dispenser for your tagging purposes. 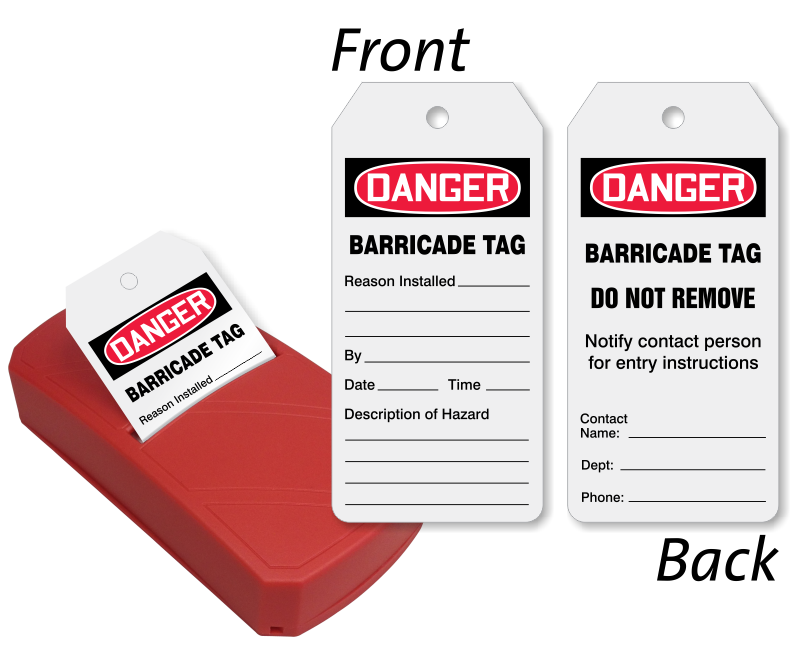 • Writable tags have space for writing date, hazard, and reason of installing barricades.